Dr. Deborah Barreau, an outstanding and beloved professor at the School of Information and Library Science (SILS) at the University of North Carolina at Chapel Hill, who passed away February 10, 2012, is the recipient of the prestigious 2013 Association for Library and Information Science Education (ALISE) Award for Teaching Excellence. 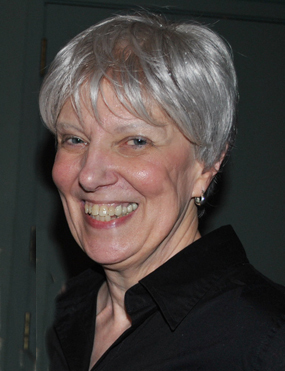 The award, which will be presented posthumously, is offered by the ALISE organization to a teacher who has repeatedly demonstrated "evidence of regular and sustained excellence in teaching library and information science; makes contributions to curriculum design which demonstrated subject expertise and the ability to integrate new developments in library and information science; provides evidence of mentoring students, alumni and/or practicing professionals outside the classroom; and demonstrates use of effective and innovative teaching methods." "Deborah demonstrated a passion and energy to provide only the best education for her students," said Dr. Gary Marchionini, dean and Cary C. Boshamer distinguished professor at SILS. "Her concern for and involvement in our students’ education was demonstrated both inside and outside the classroom in all the roles of an excellent teacher. She provided feedback to students on their work, mentored and advised them and went above and beyond to develop interesting and innovative learning opportunities. In particular, she emphasized interaction and involvement in her classroom and encouraged students to conduct high quality research. She received enthusiastic praise for her teaching, from both her students and her peers and exceled at teaching even those courses that are required and not necessarily the most popular in our curriculum." Dr. Barreau's students demonstrated their support by nominating her for the SILS teaching award each year she was eligible. She received the SILS 2004 and 2008 Award for Teaching Excellence and she received the ASIS&T Thomson ISI Teaching Award in 2002. "Deborah was an outstanding academic citizen and scholar who had a deep commitment to teaching and a strong sense of community," said Marchionini. "Her knowledge of her subject matter and research, her devotion to helping her students succeed through her pleasant and engaging ability and her collegial and collaborative nature and community spirit have been positive influences at SILS. Her influence on the curriculum at UNC will continue to live on. Winners of the ALISE teaching award receive a complimentary registration to the ALISE annual conference held in January. The School will select an outstanding student to attend the conference in memory of Dr. Barreau. SILS has had four recipients of this prestigious award. Along with Dr. Barreau, previous winners were Dr. Sandra Hughes-Hassell in 2011, Dr. Jerry D. Saye in 2002 and Dr. David W. Carr in 1994. "ALISE (Association for Library and Information Science Education) is a non-profit organization that serves as the intellectual home of university faculty in graduate programs in library and information science in North America. Its mission is to promote excellence in research, teaching, and service and to provide an understanding of the values and ethos of library and information science. ALISE serves 500 individual members and more than 60 institutional members, primarily in the United States and Canada." "The empathy I gained for working with developers via my database courses and programming courses has helped tremendously on projects."